We offer boarding for that special friend! We have facilities to fit all shapes and sizes, from the smallest kittens to enormous pooches! Why Blue Cross Pet Hospital instead of a boarding kennel? We assure you the best of care, always having our "healthy eyes" on each pet! Our trained staff and doctors are available to insure your pets happiness and safety! We are flexible with any special needs, special diets, medications, etc. Our boarding facility is in high demand during the holidays, so please schedule your pet's stay as early as possible. We have limited housing for large dogs, so if you have a "big kid", please call us early! Our dog kennels measure 2.5 ft by 6 ft.
Our hospital will provide nice bedding for your pet. Please leave your towels/blankets at home in your closet. Let us do the laundry for you! You are welcome to bring one safe toy (no rawhide please) and any special foods or drug prescriptions that your pet may require. 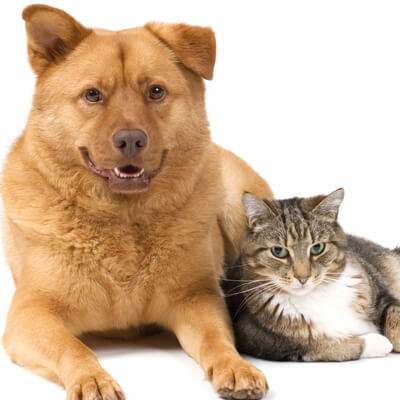 Please insure that your pet is current on his or her vaccinations (Rabies, K-9 cough vx, etc.) We are happy to vaccinate your pet before their stay with us or upon boarding initiation. If your pet has been vaccinated elsewhere, please bring the vaccine paperwork with you to allow us to update your pet's health history. Please ask our front staff if you have questions regarding your pet's specific vaccination needs. If you would like your pet to smell "extra sweet" upon pick-up, please let our front staff know. 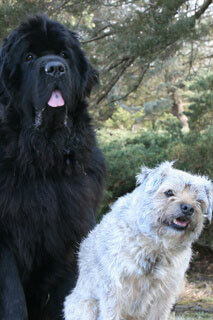 We have light grooming/bathing services available. Please plan an afternoon pick-up when grooming is requested to allow for proper drying time. Our staff looks forward to pampering your pet!